You’ll find all the table action you’re looking for at Kewadin Casinos! If you hear shouts and cheers while you’re at Kewadin, it’s probably coming from the craps table! This fast-paced, action-filled dice game opens with one of the players (the “shooter”) casting two dice the length of the table so that they strike the opposite wall. This action makes it impossible for anyone to control the outcome. 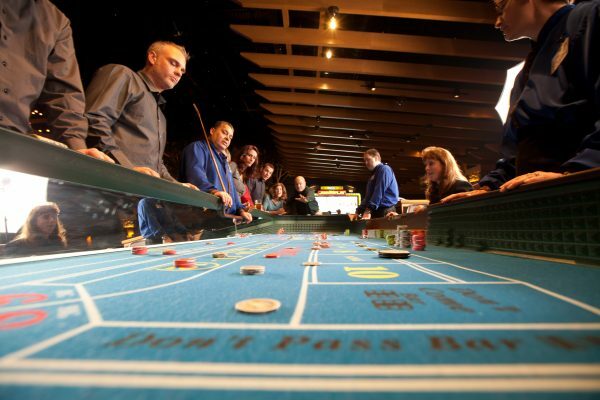 The odds on individual bets in craps vary from Even Money to 30 to 1. At Kewadin Casinos, we offer 10x odds—some of the best in the state!